Hey everyone! Welcome to NintendoSoup’s 29th giveaway! This week, we’re giving away a copy of weapon crafting simulation game Holy Potatoes! A Weapon Workshop?! for Nintendo Switch. 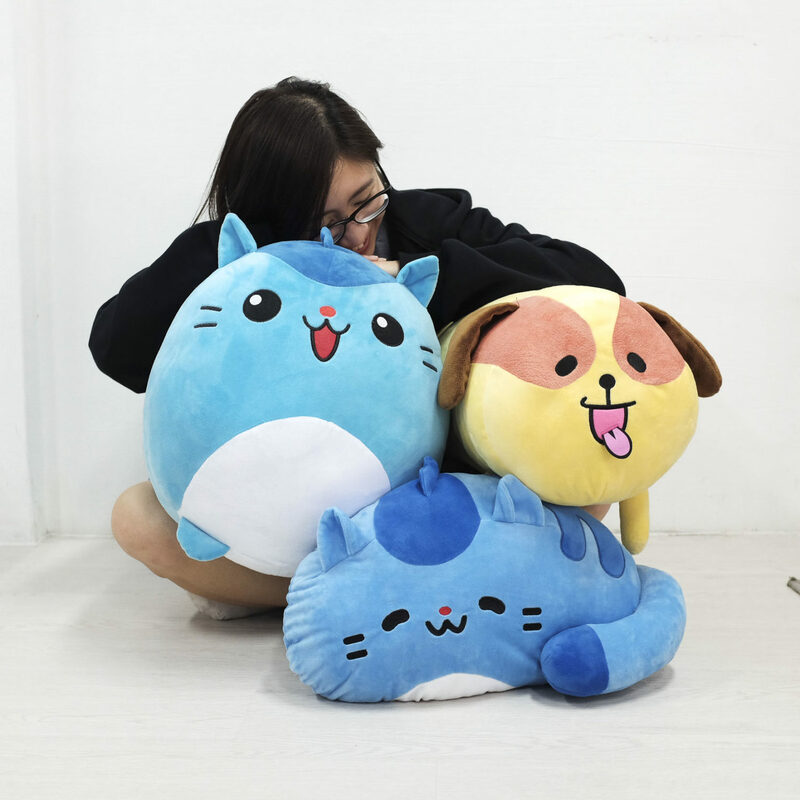 That’s not all – Daylight Studios, the makers of Holy Potatoes, were kind enough to sponsor adorable large and mini plushies of Jagamaru and Mochi. We kid you not – Jagamaru is huge! Win a copy of #HolyPotatoes A Weapon Workshop?! and plushies! 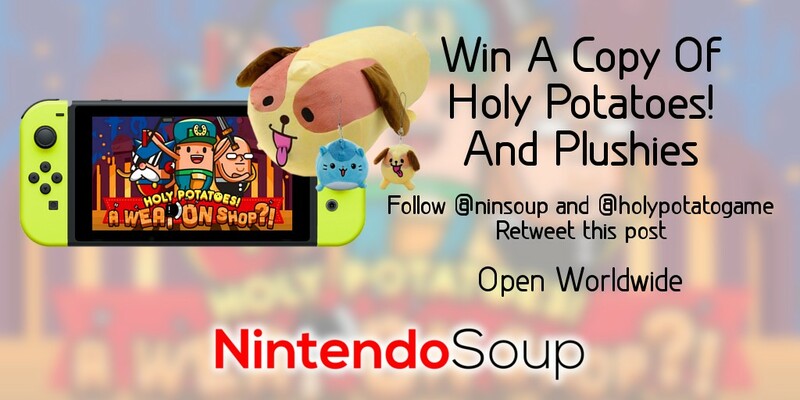 Follow @ninsoup and @holypotatogame, and Retweet to enter. Open worldwide, ends July 30 6am PT. Giveaway ends July 30, 2018 6:00am Pacific Time. 4 winners will be randomly chosen on Facebook and Twitter. Game will be sent as a download code, redeemable on the North American region Nintendo eShop. Plushies ship worldwide. Open to everyone worldwide.